In this article - we will take a look at the tips and tricks for getting started with Updates. If you would like to learn more about getting started with dashboards you can check out this article [link to getting started with Updates]. 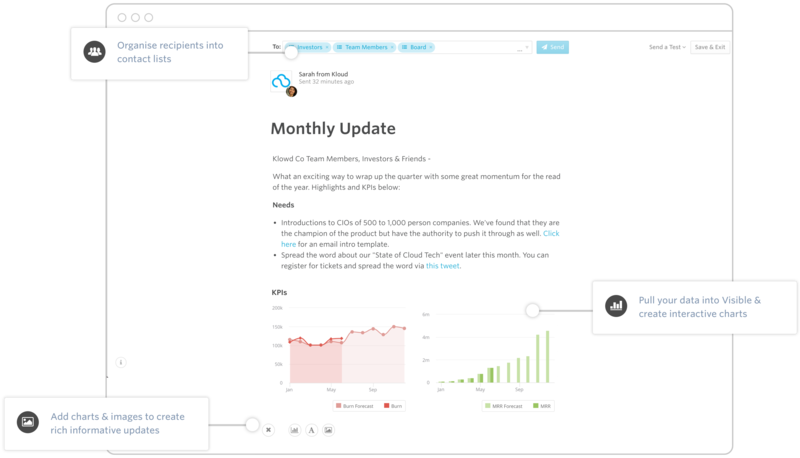 Updates allow you to take any of the data/charts you have in Visible, add context, and easily share that out to segmented stakeholder lists via email, PDF, and link sharing.